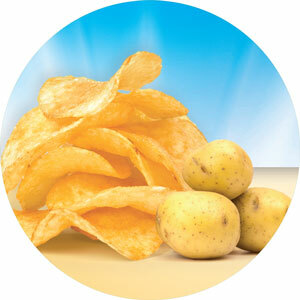 Blooms Mini Cooked Chips are a unique snack, combining everyone’s favorite chips with a bite-size twist! 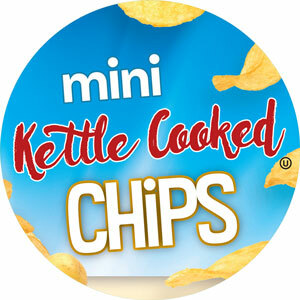 Made out of mini potatoes instead of the traditional sizes, the Mini Kettle Cooked Chips from Bloom’s are easy to munch on and loved by kids and adults alike. Good things come in small packages, small packages come with big challenges! 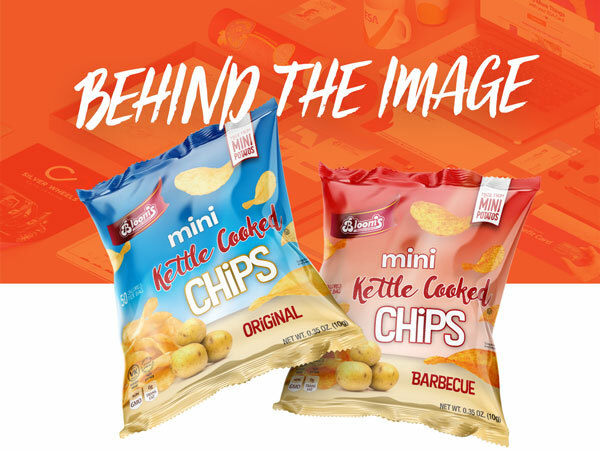 Since mini chips come in a mini bag, our team was challenged to include all the key brand and product information without overcrowding the limited packaging space. From explaining the bite-sized process to highlighting the flavor, we needed to balance space and design for a readable, attractive result. Our solution? It’s all in the design. We decided to break-down each design element, allowing every key point to be highlighted and displayed for best effect. First things first, we focused on the text. We divided the product name into 3 sections, starting with the word “mini” in a bold, lower-cased font. By bolding the text, we made sure that the smaller size would be clearly displayed—and the lower-case font kept it feeling small and friendly. With “Kettle Cooked” in an elegant font to showcase the high standards of cooking, we finished off with a fun typeface approach to “Chips” to combine brand quality and everyone’s favorite snack. Of course, no one wants mini if that means less to munch on. 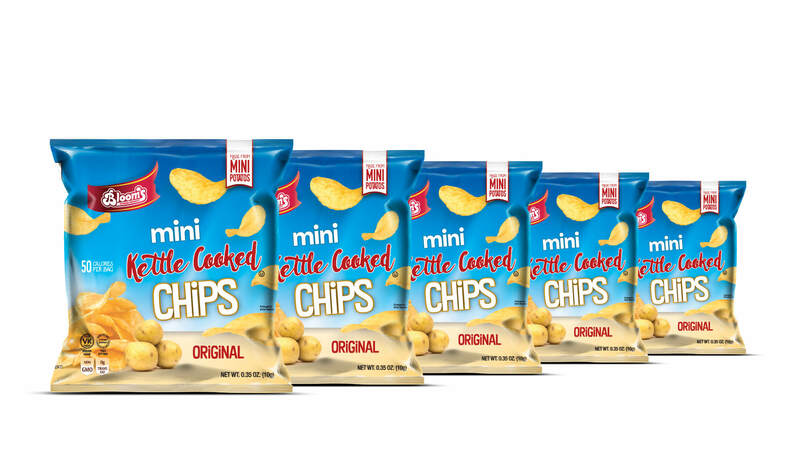 We added a pile of chips to the package design to give an impression of “more”–since the customer gets more chips per bag than their larger size counterparts. 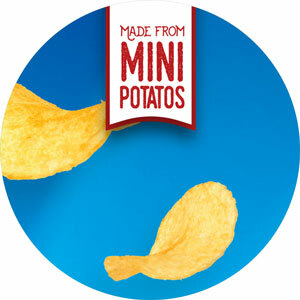 With mini potatoes included for clarity, the product focus gives a clear understanding of what’s inside the bag. And for our finishing touch, we added some free-falling chips for a fun, child-friendly feeling and then inserted the final brand elements in badges and empty spaces around the packaging. How would you rate the results? We would love to hear your feedback! Let us know what you think of this week’s project…because your insights and opinions help us do even better next time.